" Listen to the fairy song of health, the merry chorus sung by Kellogg's Rice Krispies as they merrily snap, crackle and pop in a bowl of milk. If you've never heard food talking, now is your chance!" 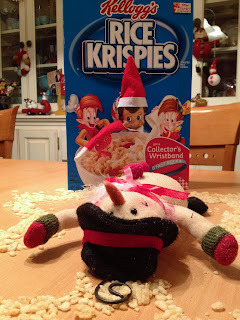 You know the gnomic elves appeared on the box of Kellogg's Rice Krispies box. The eldest brother Snap who is a problem solver, Crackle is an unsure "middle child" and Pop is a mischievous youngest of 3 brothers....Umm sounds familiar. It looks like Charlie took over Crackle's position. 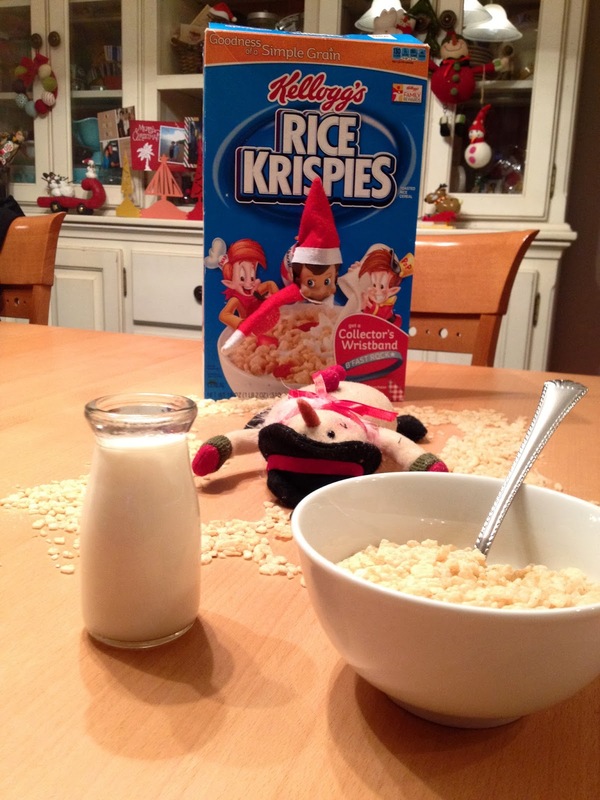 Snap is the one adding fruits in a bowl, and Pop is the one adding milk, and I know everyone always wonders what Crackle's responsibility is ever since they first appeared in 1933. Is he making sure the toasted rice cereal is popping and making the proper sounds like "Snap, Crackle, and Pop" as Pop pours Milk into the bowl ? 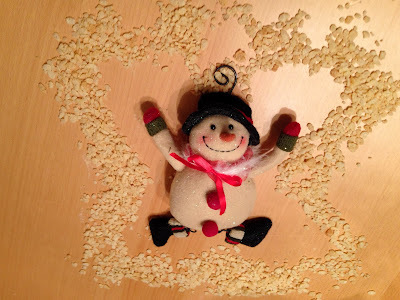 Look at the snowman has made a Snow "Rice Krispies" Angel with the cereal spilled over the table!